The Pont du Gard is almost 2000 years old and the biggest Roman edifice in France. It has been on the World Heritage Site for decades and, as I explain on the show, it is "almost" on the 5€ bill. It is not as much of an icon of France as the Eiffel Tower, but it's way up there! How Long to Spend at the Pont du Gard? There are so many things to do there that you need to plan on spending at least three hours. And I recommend most of a day if you are going to enjoy some of the outdoors activities that I discuss on the show. Yes, it is very "touristy" (tourists by the bus-loads!) but it is not a "tourist trap". There are no street vendors selling the same old plastic trinkets, food and drinks are reasonably priced, your ticket gives you access to most activities on the site for free. I love the fact that it's accessible for strollers and wheelchairs alike yet it's a great place for active visitors. You can kayak (from the nearby town of Collias). You can also enjoy the river beach, take a swim, or go on a hike on the GR6 between Ners and Aureille. This hike goes right through the bridge! To me this all spells out perfect vacation day. And, bonus, you may even learn a thing or two about the Roman Civilization and better understand this engineering feat they pulled off 2000 years ago! Enjoy the show and have a lovely week-end wherever in the world you may be. Where are you by the way? I'd love to know in the comments! Regional buses stop at the Pont du Gard. From Avignon and Alès you can get on bus line A15 and from Nîmes you can get on bus B21. 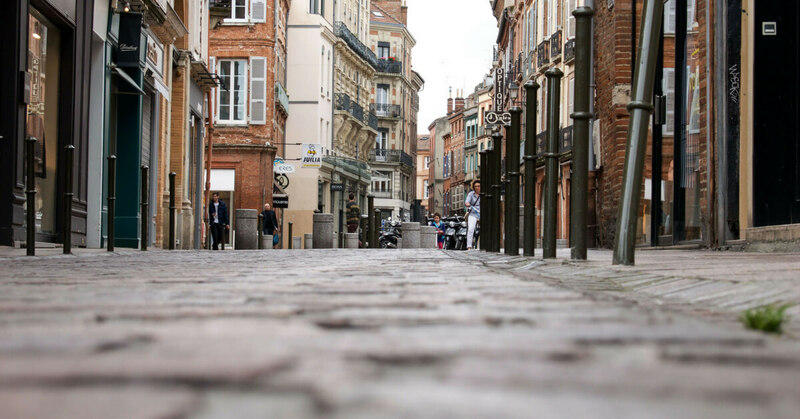 To find regional buses anywhere in France, ask for the “gare routière”. In all French cities that I know of, the “gare routière” is close to the train station. Where Did the Stone for the Pont du Gard Come from? 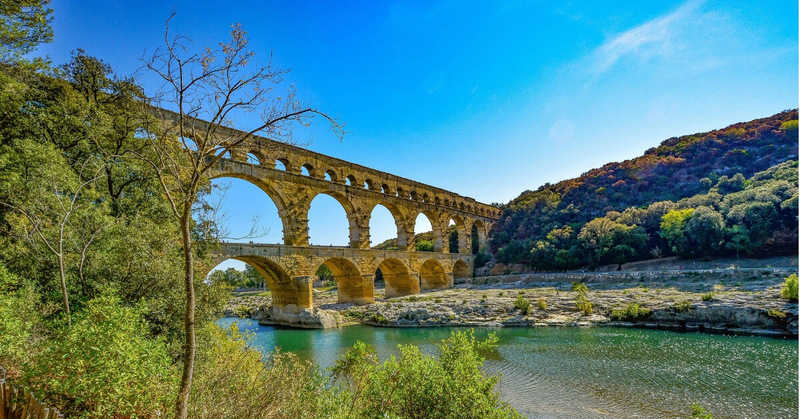 The aqueduct is made of soft limestone that was mined on a quarry along the Gardon river, the “carrières antiques de l’Estel” in the town of Vers-Pont-du-Gard about 600 meters downhill from the Pont du Gard on the left bank of the river. Il est si beau, ce pont! J’ai une belle photographie du Pont du Gard, prise par mon père, sur la mur dans ma chambre. Another interesting podcast, Annie. I wondered, at first, how you were going to do a whole episode on just the Pont du Gard. But you did it and quite nicely. Ça me donne l’envie d’y retourner. E-guides about the places you visit…quelle bonne idée!!! mais, bientôt: Aimargues, Gard, France. 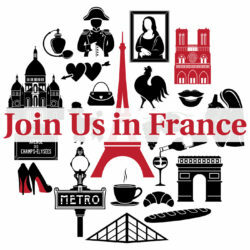 Anne i checked on Amazon but didn’t see any e guides when i searched Join us in France and under Anne Sargent.